The requirements for this article are that you have a pc or laptop with sufficient resources to run at least one virtual machine. The most important resource is memory, if your physical machine is already short on memory then it's not a good idea to add another virtual machine to that same hardware. 2 GB should be considered the minimum amount of RAM that you need. What you also need is an installation medium for the operating system that you want to install in the virtual machine. 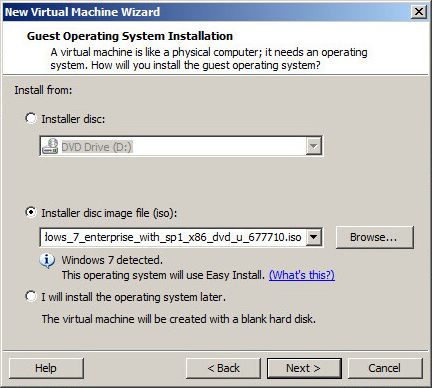 This article is based on a windows 7 installation with the WIndows 7 ISO. If you want you can also use a physical CD or DVD to install an operating system. But using an ISO-file is the simplest method. 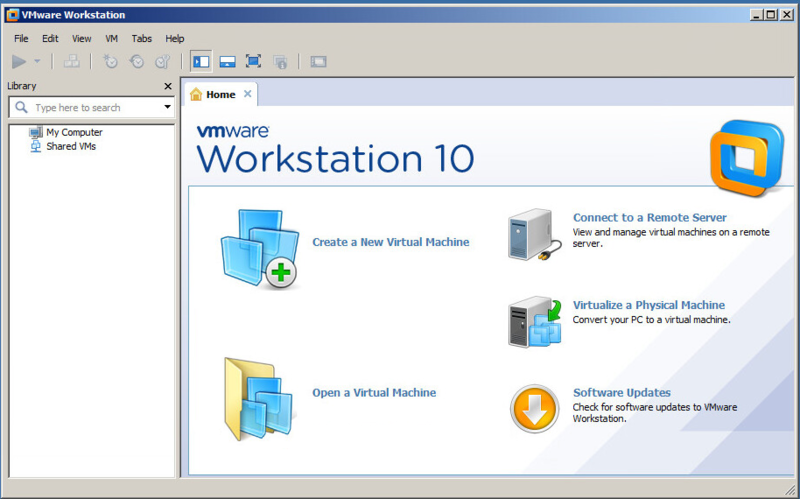 To get started you must obtain the installation package for VMware Workstation. If you purchase the product you will be able to download it but if you want to evaluate the product then you can download it by registering for the evaluation program at www.vmware.com/try-vmware. 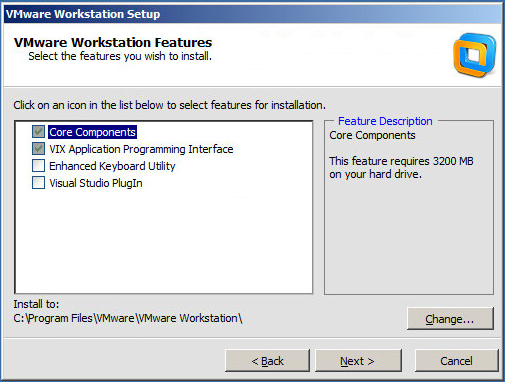 The installation procedure of VMware Workstation is pretty straightforward. You probably want to accept most of the defaults during the installation process. If you select the custom setup then there are a few things that are worth mentioning here. One of the first steps is to choose the components to install. If you are not a programmer working with Visual Studio then that plugin is not something you need. The Enhanced Keyboard Utility might be useful if you have a non-US keyboard. For the rest of the setup accept all the defaults. 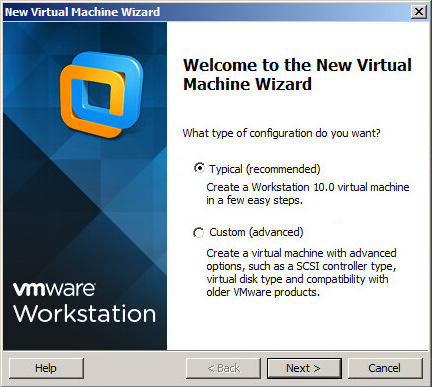 Once the installation is done start VMware Workstation to create your first virtual machine. 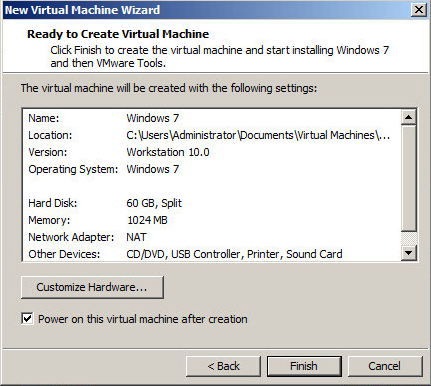 To do this click Create a New Virtual Machine from the home page or select New Virtual Machine from the File-menu. To create your first virtual machine choose the Typical-creation method. You will not be bothered with too much technical details at this time where you are getting to know VMware and virtual machines. The next step is to select an installation medium. 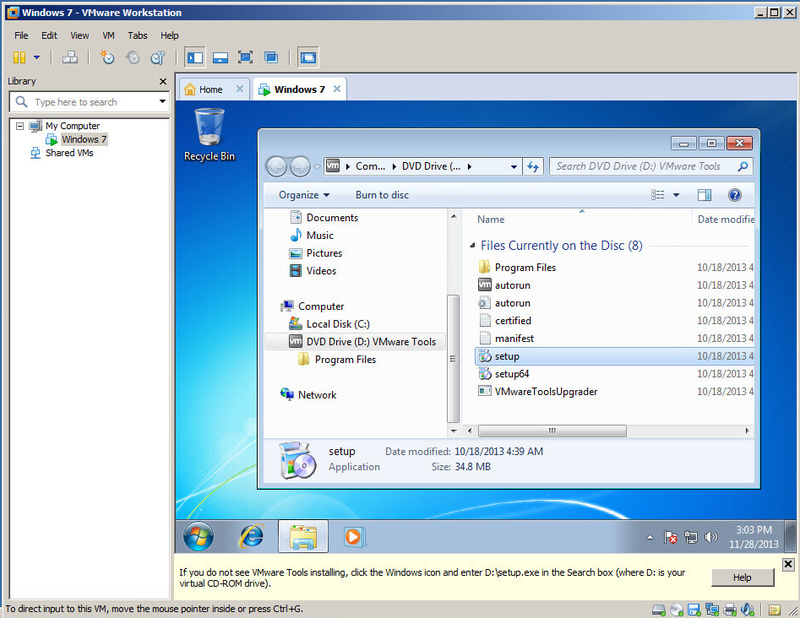 The example used here is the Windows 7 installation DVD ISO file. You can also connect the virtual machine to a physical medium. To do that select the Installer disk radio button. What you might notice in the image below is that VMware detects that you are installing Windows 7. Because of that it will start a process named Easy Install in the virtual machine that performs the installation of the operating system for you. If you do not want to use this feature then select I will install the operating system later. In that case an empty virtual machine will be created and you can attach the installation medium later, boot the virtual machine and install the operating system manually. If you choose Easy Install then you must provide information about the computer name, license and an administrator password. 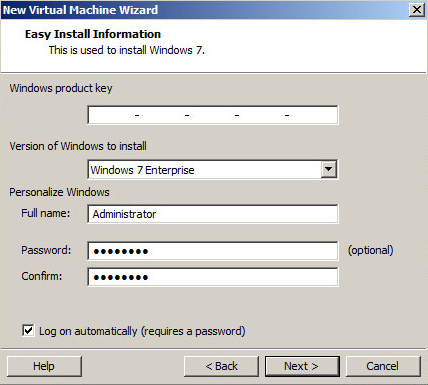 You can install Windows 7 without a license key and activate it later. Next provide a name for the virtual machine that will allow you to identify it amongst all the other virtual machines you will be creating later. And specify a path where to store the virtual machine. The last details to provide are for the virtual hard disk that will be created. 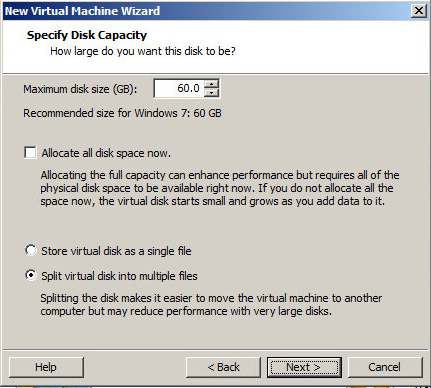 The maximum disk size is what Windows inside the virtual machine will see. It is not necessarily the disk space needed when creating this virtual machine. If you would select the check box for Allocate all disk space now then 60 GB of you disk space would be used to create the virtual disk. Otherwise (the default) the virtual disk will only consume a few megabytes and will grow in size once you start adding data into your virtual machine. The benefit of pre-allocating the disk space is that your hard disk can not run out of disk space when running the virtual machine. Keep the setting to split the disk into multiple files enabled. Otherwise you will end up with a very large file that might be unpractical to work with. It might not fit on portable media for example. When you are done the virtual machine creation wizard will summarize the information you have provided. When everything is correct you can click Finish to start the creation process. It's a useful feature to have the wizard power on the virtual machine after creation so that you don't have to wait. Especially with the Easy Install feature you just leave it running for a while and when you return the virtual machine will be ready to use. Once the virtual machine is created and powered on the Easy Install process will kick off and install the operating system for you. 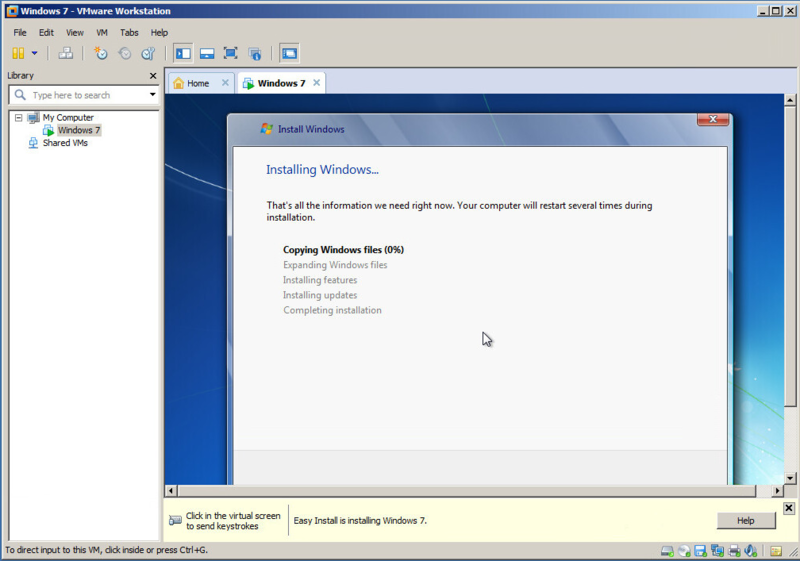 And then finally when the Windows 7 setup is ready you have a running Windows 7 virtual machine. Now that you are done it is good to know a few things about working with virtual machines. To work with the virtual machine just click the mouse pointer inside the virtual machine window. (You can see that it says so in the bottom left corner of the VMware Workstation window.) 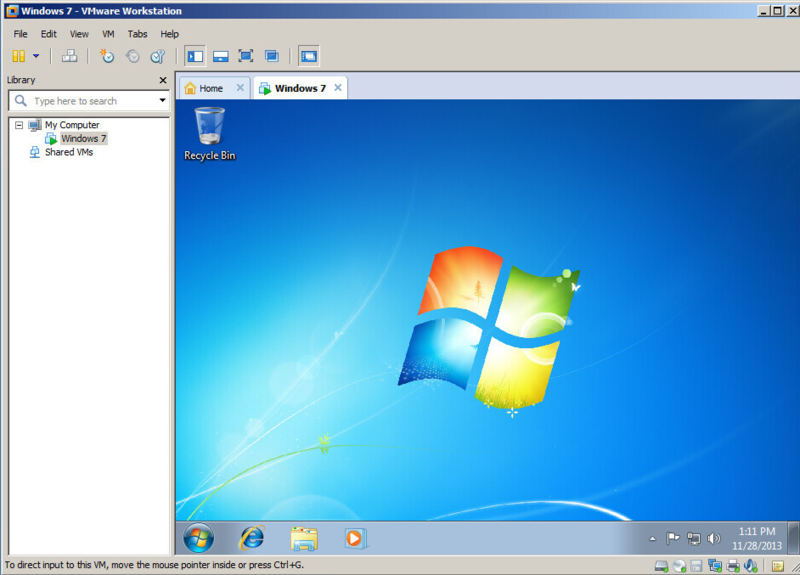 Once the virtual machine has focus the text in the bottom left corner will change and will explain that you must press Ctrl-Alt to leave the virtual machine window. One last step to take is to install the VMware tools in the virtual machine. They will provide useful features such as automatically moving the mouse pointer in and out the virtual machine window and sharing files between your physical pc and the virtual machine. When you have chosen the Easy Install method during creation of the virtual machine the VMware tools will automatically be installed at the end of the operating system installation process. To install the tools select the option Install VMware tools from the VM-menu in VMware Workstation. This will attach an ISO-file to the virtual machine containing the tools installation binaries. In Windows virtual machine that was installed with the default settings the setup will be started by Autorun. If that would not be the case you can start the setup from the CD that is now visible in the virtual machine's explorer. Now that your virtual machine is created and running it might be interesting to have a look at your hard disk to see what files have been created in the virtual machine directory. 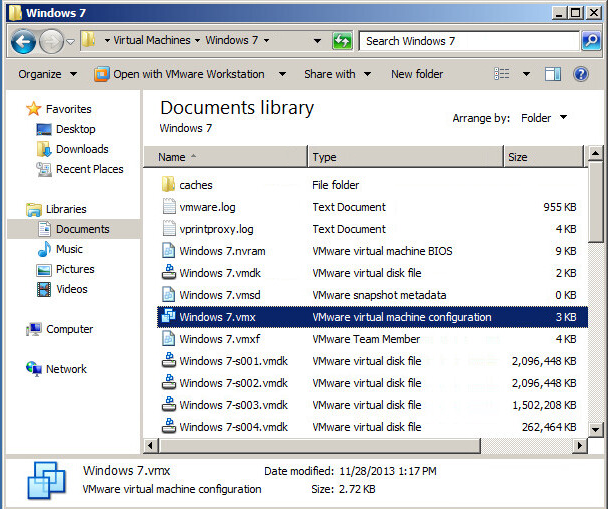 There is a .VMX file which contains the virtual machine's configuration. And you can see the .VMDK-files that make up the virtual hard disk of your virtual machine. In the image below you can see that these .VMDK files will grow up to 2GB and then another .VMDK file will be used to store data. (If you have chosen to split the disk into multiple files.) Finally there is the .NVRAM file which contains the BIOS-settings for the virtual machine and a .VMSD file that will be used to keep track of snapshots you would make of your virtual machine.